The Chrysler 300 remains a popular vehicle among owners who enjoy having a full-sized sedan. The latest models have arrived at our Oxford location. Indulge in a look at our inventory. Treat yourself to a test drive and explore all of the 300's amenities. The 2019 models feature an overall smooth body design with the slightest hints of defined sculpted lines. The cars are available in eight different colors. 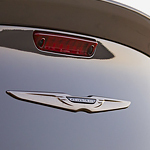 The front end boasts a honeycombed mesh grille encompassed by polished chrome. The exterior mirrors and door handles also have a chrome finish. When browsing the market, it's quite common to see cars that have incredible amounts of flexibility in their performance features, but not much elegance on the outside. At Allen Samuels, we understand it's just as important to have a car that you feel comfortable driving, which is why we carry the Jeep Compass, a popular compact SUV with a lot to offer. What Interior Features Come With the Dodge Challenger? 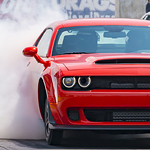 When it comes to muscle cars, our team at Allen Samuels thinks the Dodge Challenger is among the best on the market. Many Oxford consumers prefer this model because it comes equipped with a wide range of features, which include class-exclusive interior features that provide you with comfort and entertainment. Let's explore a few of the Challenger's interior features below. You and your passengers are sure to stay comfortable in the Challenger thanks to its class-exclusive five-passenger seating and best-in-class passenger room. 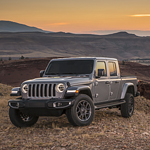 At Allen Samuels CDJR of Oxford, we can’t wait to show off the Jeep Gladiator, the new midsize pickup truck that has been added to the Jeep lineup. This rugged truck will be available beginning Spring 2019. The Jeep Gladiator will look familiar from the front because it is based on the Wrangler. 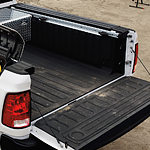 The biggest differences are a longer frame and a 5-foot pickup bed in the back. The doors and roof will come off and the windshield will fold up. There will be a few trim levels, including the most rugged, the Rubicon. 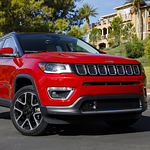 The latest designs from Jeep Cherokee have come out, and the compact SUV that won so many awards last year is doing it again. The Jeep Cherokee has been known for its unique design, but this year the front-end is all new. The headlamps are sharp with a laser-focus and brightness that truly cuts through the fog and rain during those difficult days. 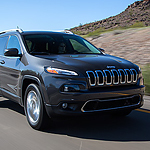 However, it’s also about the dramatic lines and aerodynamic curves that you’ll find on these Jeep Cherokee models. We here at Allen Samuels Chrysler Dodge Jeep Ram of Oxford understand the importance of finding the right set of features and design for the job ahead. Our team can assist you with the selection process and are excited to introduce this popular heavy-duty pickup truck. The Ram 2500 has three different engine options available. The 6.7L Cummins Turbo Diesel I6 Engine provides up to 800 lb-ft of torque and up to 370 HP. This diesel-powered engine can carry an impressive payload capability of up to 3,160 pounds. 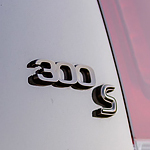 What makes the Chrysler 300 such a popular full-size luxury sedan? Features such as the available HID headlamps adapt to increase visibility during night drives. These headlamps feature automatic leveling that keeps track of the steering angle and car speed and adjust accordingly.